It is a supplement for professionals and serious amateurs who have set themselves the objective of achieving a dream figure in the shortest possible time, in the absence of injury. It Contains WPI, WPH, WPC and BCAA. There are no trans fats! High-quality whey protein isolate. It contains no frills! Each serving is devoid of sugar and fat! Conditioner has an excellent amino acid profile and biological value of BV = 159! High-grade protein mass Nutrend Compress Iso Whey 90 is the purest whey protein isolate (WPI) with the addition of colostrum, which adopts the highest possible biological value BV. Very good protein supplement Nutrend Compress Iso Whey 90 is characterized by the highest possible bioavailability, low fat and carbohydrates, which makes this protein ideal preparation for use by athletes. Another key element for the effective operation of the protein content is branched chain amino acids. 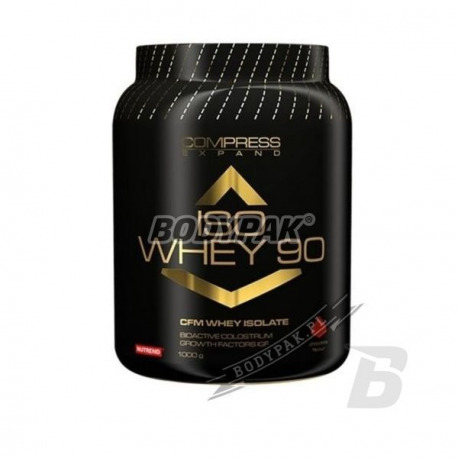 Whey protein isolate Nutrend Compress Iso Whey 90 has a high content of branched chain amino acids and L-Glutamine. 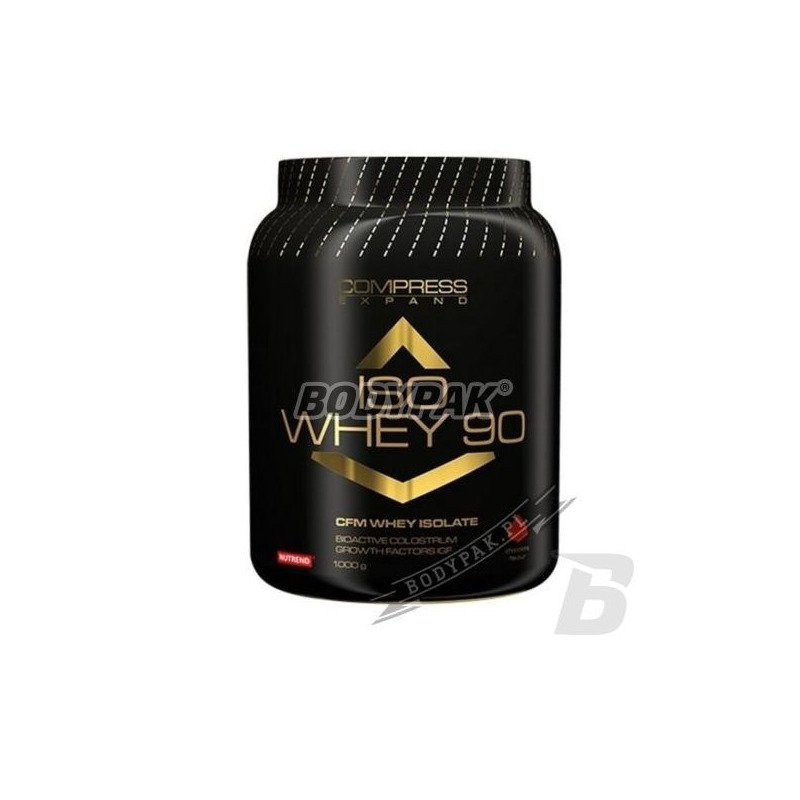 Whey protein isolate Nutrend Compress Iso Whey 90 is designed to maximize the concentration of protein in the product flavor and full and rapid protein synthesis in the muscle cells. The product for athletes Nutrend Compress Iso Whey 90 is characterized by excellent solubility and excellent taste. The pure protein line Compress Expand is designed to ensure the highest possible effective concentration of the protein and to increase the greatest anabolic protein synthesis. With WPI of Nutrend amino acids from supplements (pure whey isolate) are faster and better absorbed and used by the body. Protein supplement Nutrend Compress Iso Whey 90 is a great way to beautiful muscles without excess fat. Świetnej jakości izolat! Nie najlepszy w smaku, ale przecież on nie ma smakować, ma idealnie wchodzić po treningu i odżywiać mięśnie!!! Protect yourself against catabolism night, which can significantly reduce the effects achieved by you in the form of growth of muscle tissue. Casein inhibits protein degradation 0 34% over seven hours. Conditioner is not enough, it is effective it still tastes delicious - we recommend! The highest quality whey protein isolate CFM, which shows record biological value (BV 159), high absorption rate and BCAA and L-glutamine. Obtain the most anabolic source of amino acids! Sensational flavor and solubility!